Finavia, the Finnish airport operator, has invested heavily in serving Chinese passengers and improving the customer experience at Helsinki Airport. The new Lucky Air route will bring two major cities in China within reach of Finnish people and passengers travelling via Helsinki Airport. Lucky Air will fly a triangular route: When flying from China to Finland, the airline will first fly from Kunming to Chengdu and, after a brief stop, continue to Helsinki. The airline will then follow the same route back. “Having the first Chinese airline in Finland supports our goal to develop Helsinki Airport as an important air traffic hub between Europe and Asia. Measured by the number of flight connections, Helsinki Airport is number one in Northern Europe and, according to passenger surveys, one of the best airports in the world. We wish the new airline warmly welcome to Finland and Helsinki Airport,” says Joni Sundelin, Senior Vice President at Finavia, the Finnish airport operator. The route is expected to open on 17 January 2018, and it will be flown by wide-bodied Airbus A330 aircraft twice a week. Chengdu and Kunming are both Chinese metropolises. Once this route is opened, people living in these cities will have excellent connections to Finland and to the rest of Europe via Helsinki Airport. Lucky Air is part of the Chinese HNA Group. Finavia works closely with, for example, Visit Finland and different tourist service providers in order to develop the routes offered by Finnish airports. After the new routes flown by Finnair and Lucky Air, Helsinki Airport offers excellent connections to China: Beijing, Shanghai, Xi'an, Chongqing, Guangzhou, Nanjing, Chengdu/Kunming, Hong Kong. Finavia's Helsinki Airport set an all-time passenger record in 2016: 17.2 million passengers. It is about to set a new record. According to estimates, the passenger volume at Helsinki Airport will be more than 18.5 million in 2017. “This growth is based on an increase in international transfer traffic. At the same time, the exotic and northern Finland has become an attractive destination. In recent years, Finavia has invested heavily in serving Chinese passengers and improving the customer experience at Helsinki Airport in order to make a good first impression,” Sundelin says. 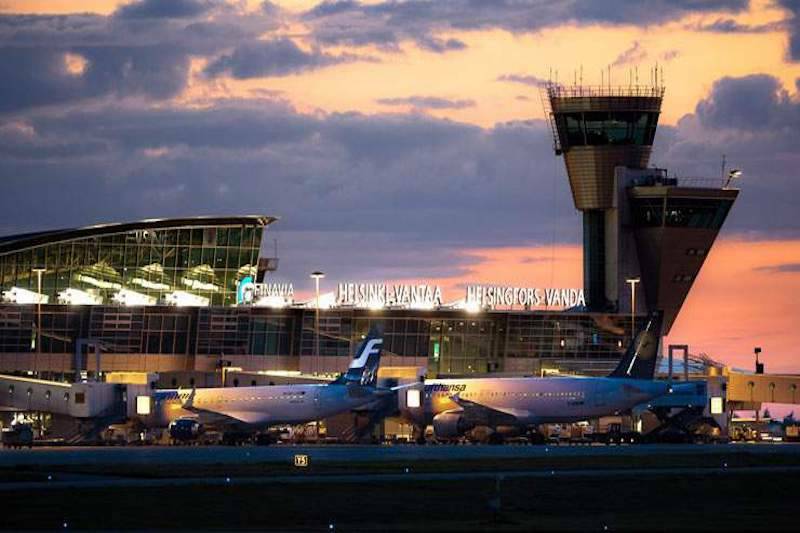 Finavia has a EUR 900 million development programme under way at Helsinki Airport. The expansions enable the airport to serve 30 million passengers a year in the future.